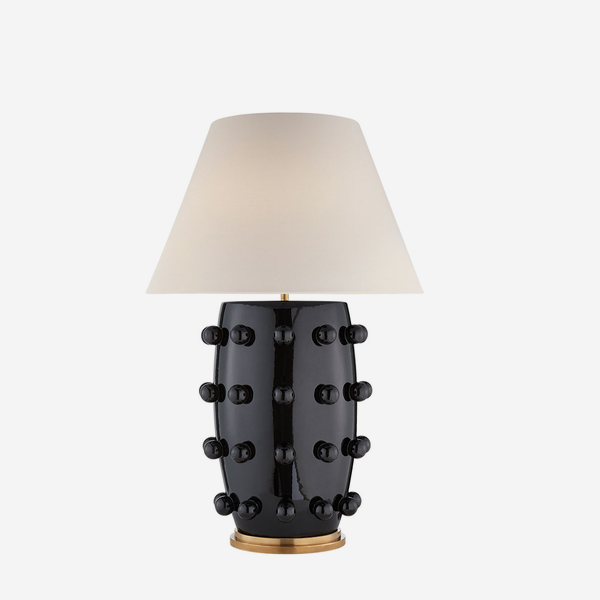 A glossy black table lamp decorated with bobbles, a large linen shade and antique brass fixings. 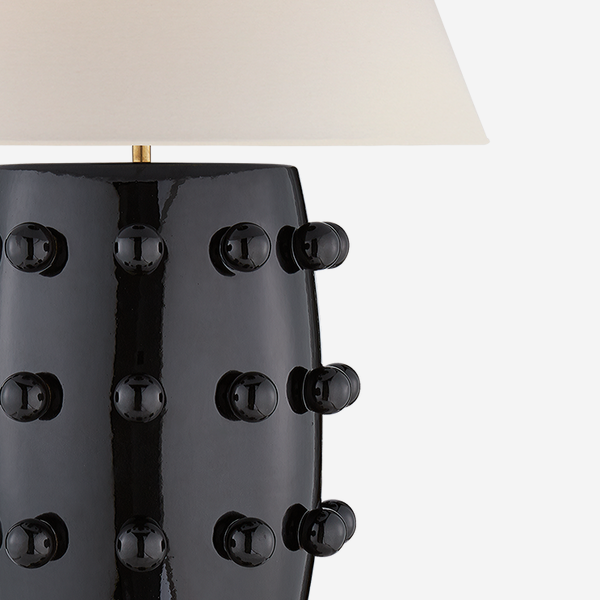 Linden, crafted by the iconic designer Kelly Wearstler, adds unique character to a room in the shape of humour, texture and funky form. Available in two sizes.